Masataka Taketsuru, considered as the father of Japanese whisky, and the founder Nikka Whisky Distilling co., was sent to Scotland in 1919 in order to acquire the necessary technical knowledge and a experience for whisky production. This is where he met Jessie Roberta Cowan, a Scotswoman born in Glasgow. They got married in 1920 and lived in Campbeltown for a few months close to the Hazelburn distillery where Masataka was continuing his training. Cowan changed her name to Rita and moved with her husband permanently to Japan. She provided loyal support to Masataka in his vision to establish whisky production in Japan. 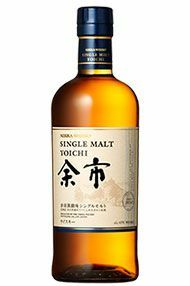 Of Nikka's two malt whisky distilleries, Yoichi produces rich, peaty and masculine malt. The whisky gets its distinct aroma and body from direct heating distillation, in which the pot stills are heated with finely powdered natural coal--the traditional method that is hardly ever used today, even in Scotland. In Yoichi, Masataka Taketsuru saw numerous reminders of Scotland, and this convinced him that this should be the home of Japanese Whisky. The Miyagikyo Distillery is also in northern Japan, in Sendai, northern Honshu. Travelling in the area one day, Masataka came upon this site completely enclosed by mountains and sandwiched between two rivers. He immediately knew that this was the perfect site for whisky distilling. Sendai's fresh water, suitable humidity and crisp air produce soft and mild malt. 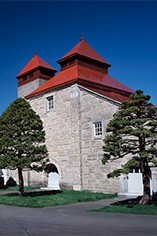 The location for the Miyagikyo distillery was selected because of its clean air, just the right humidity for storage, and abundant underground water filtered through a layer of peat. Matured malt whisky and grain whisky are blended and then re-casked (a process known as marriage) to create a rich harmony of distinctly different whiskies. 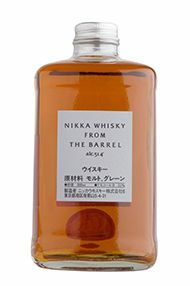 Nikka from the Barrel is bottled directly from re-casked barrels of whisky and features almost the same alcohol percentage. At 51.4% alcohol content, this whisky possesses a distinctive personality characterized by solidity, depth of taste and a richly expanding aroma. 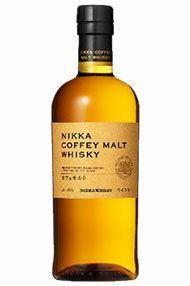 Made in the Miyagikyo distillery, the Nikka Coffey Malt is the result of a unique distillation process in “Coffey” column stills, which are normally used for grain whisky production. Imported from Scotland in 1963, these old stills yield a distillate with more flavour and depth than modern column stills, imparting a distinct character. This rare 100% malt bottling offers a surprisingly rich, spicy texture. This is a single malt from the Miyagikyo distillery, Nikka's second distillery built in 1969. Nikka’s founder Masataka Taketsuru chose this site in the mountains of Sendai to contrast with his first distillery, Yoichi, which located in the coastal area. Using less peaty malt and distilled in a pot still heated by indirect steam, Miyagikyo single malt has an elegant fruitiness and a distinctive aroma with a strong Sherry cask influence. 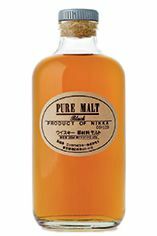 This is a blend of single malt vintages from the Yoichi distillery, Nikka’s first to be built, in 1934. Yoichi (in Hokkaido) was chosen because of it was deemed to be similar in climate to Scotland, where Nikka’s founder Masataka Taketsuru trained. This is a blend of single malts from different years and consequently does not carry an age statement. This is a smoky whisky with a maritime character. 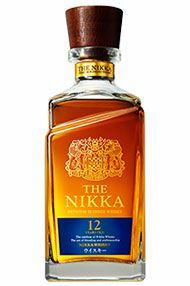 A malty, soft and well-balanced, this blended whisky has been made by Nikka to express its house style. The asymmetrric design of the bottle is inspired by the neck of a Kimono and the golden emblem engraved on the bottle was designed by Nikka’s founder Masataka Taketsuru for his very first Nikka whisky bottle.